Unlike with The Force Awakens, which seemed to have an info leak every 10 seconds, things have been surprisingly quiet for Rogue One. 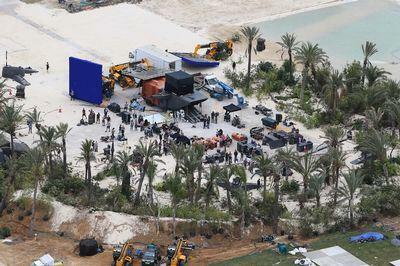 After a long dry spell some new set photos have finally popped up. 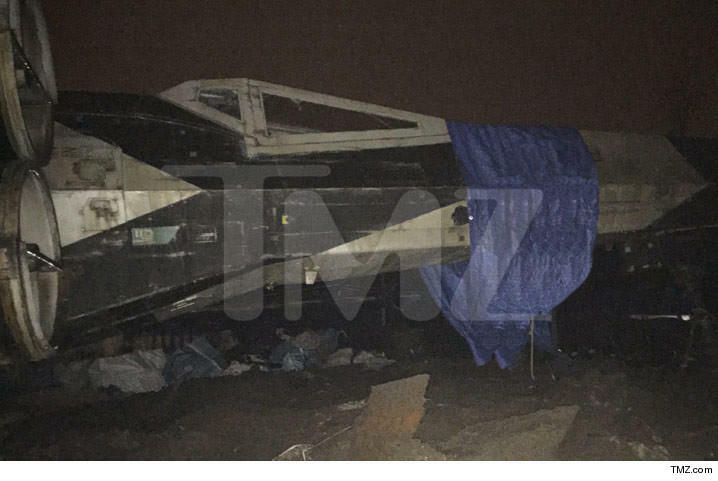 TMZ has released three new photos of an X-Wing that was spotted on the set of the upcoming standalone Star Wars film. 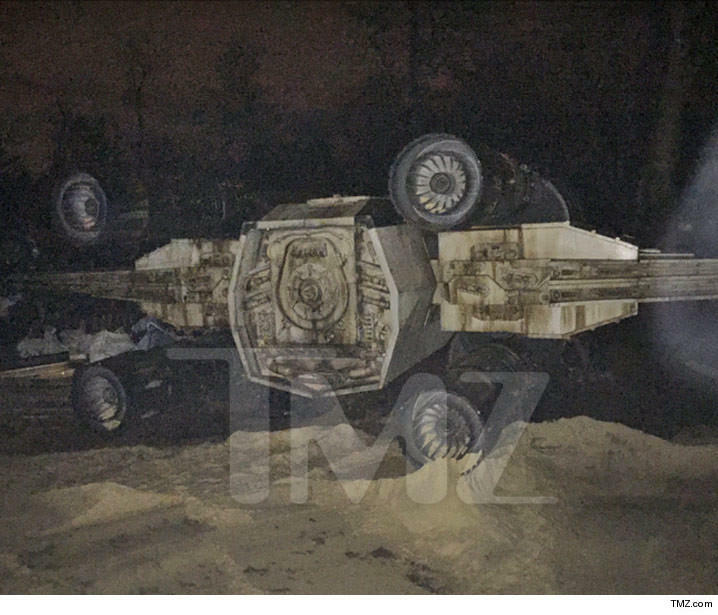 While at this point it's easy to say "Well, it's just an X-Wing… big whoop," there are a couple things to note here. 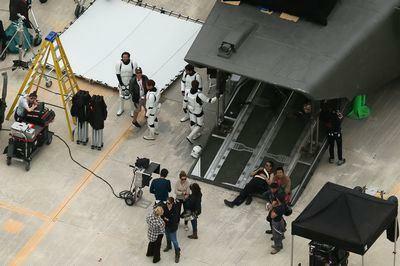 As Rogue One is set in the time between Episode III and Episode IV, it makes sense that this is clearly a T-65 X-Wing as opposed to the T-70 models seen in The Force Awakens. The T-65s were the staple of the Rebellion throughout the original three films. This is the first time we have seen the classic model in any color other than the base gray paint scheme in any film. 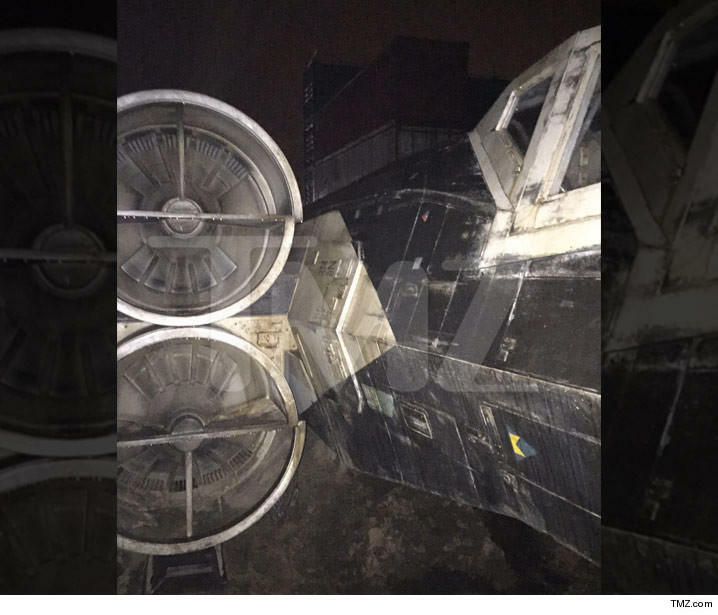 The black with white highlights paint scheme has been somewhat confirmed by MakingStarWars as the way the ship will appear in the movie and is not just an incomplete prop. 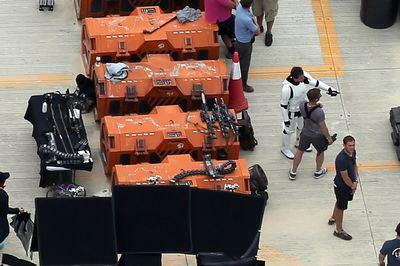 This prop is further confirmation Disney is sticking with practical effects wherever possible in the Star Wars films. 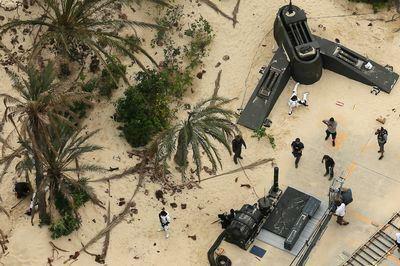 We saw one other small batch of set photos from Rogue One crop up last year, but otherwise it has been near complete radio silence on this film. With the latest film currently in theaters, marketing and chatter for Rogue One should pick up speed fairly soon, so expect an onslaught in the coming months. 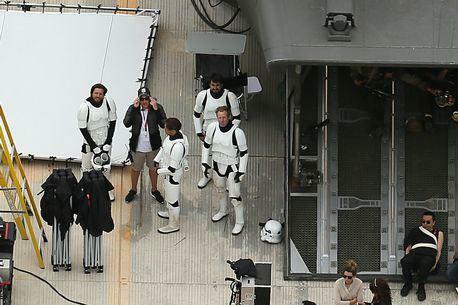 Rogue One: A Star Wars Story will hit theaters on Dec. 16.